Report and photos by Maria Castles. The weekend of 19-20-21 October 2018 saw the second Long Course Weekend Jervis Bay event. This is a unique multi-sport festival that offers real atmosphere. Over three days, athletes can choose any or all events from three disciplines (swim – Friday, bike – Saturday and run – Sunday) and multiple distances to create a tailor made weekend course for their ability. 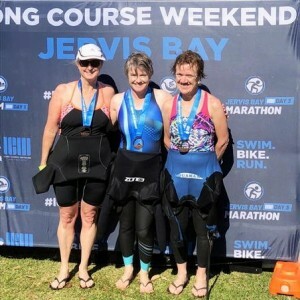 Each discipline has at least two distances available, including, for those looking to push their limits, a Long Course option – the longest distance (ie: a full triathlon distance) in each event. 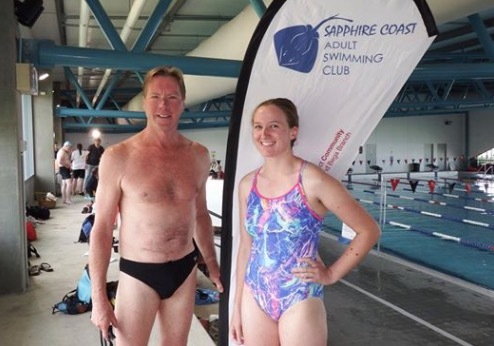 This time, two Tuggeranong Vikings – Kirsten Madsen and Maria Castles – made the trip to the beautiful coastal village of Huskisson, joining their friend Kerry O’Neill for the 950m swim leg of the event on the Friday. 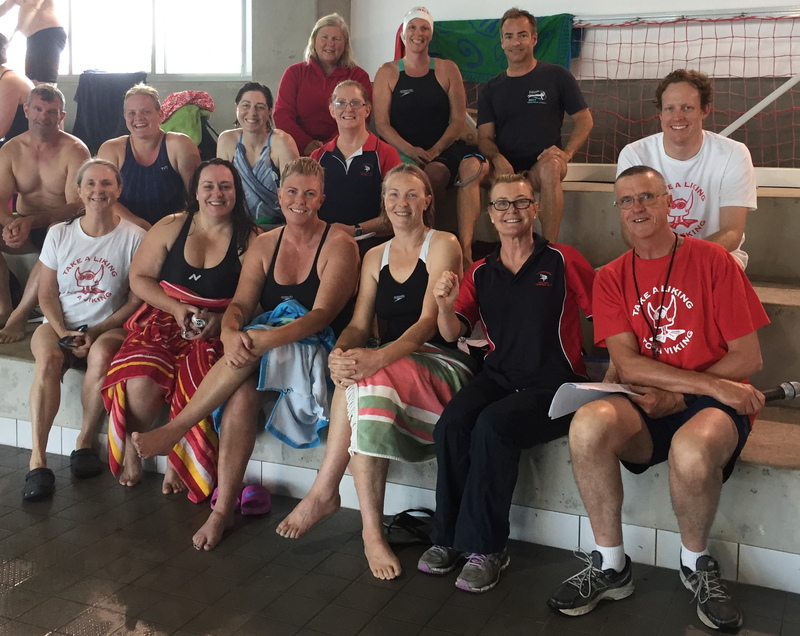 Friday was a lovely sunny day with a decent crowd and a good atmosphere around the swim venue – the beach adjacent to White Sands Park at Huskisson. After checking out the course and start set up, it was time to don wetsuits and pose for pre-race photos at the finish line. 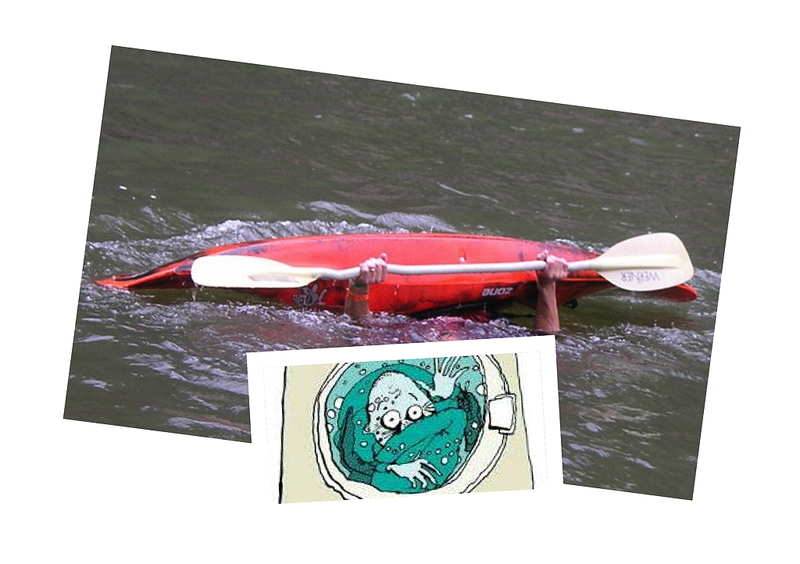 The swim was over a triangular course. 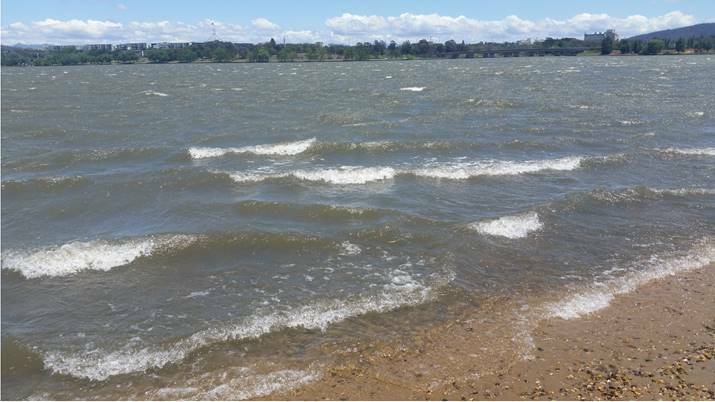 In the fairly windy conditions, the first leg of the triangle was the hardest swim, due to the chop driven by the wind, with the second and final legs a bit easier. Getting from the water exit point to the ‘arch’ marking the actual course finish line entailed a walk/run up a path of a couple of hundred metres through the bush to the park. 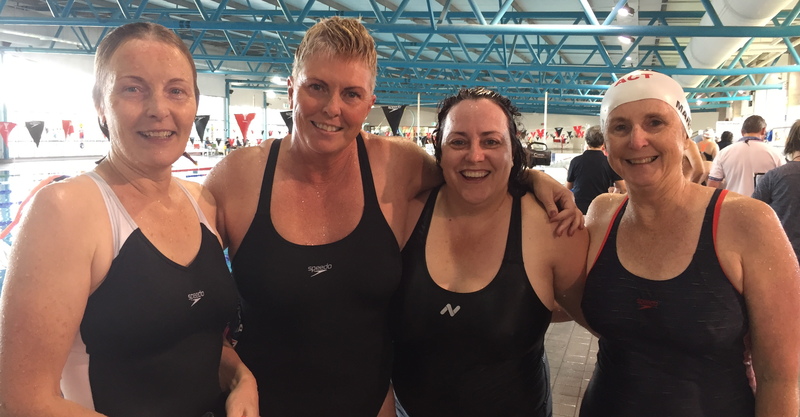 All three successfully completed the swim, recording times between approximately 23 and 26 minutes. While the event awards were not categorised according to age groups, these times were quite competitive! All successful swimmers earned a sizable medal – usefully doubling as a fridge magnet! After a celebratory coffee, all were very pleased to have done it! 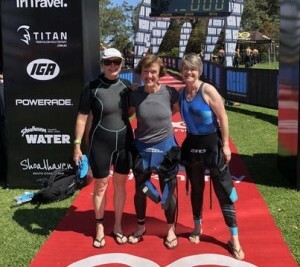 We can expect to see more from these three, with Kirsten and Kerry having plans for another ocean swim and Maria and Kirsten to take part in the Sri Chimnoy lake swim, here in Canberra, as part of a Vikings club relay team shortly.